White Commercial customers share their stories of success, which we’re proud to share, in turn, with you. Phil and Malissia Abell and daughter Sarah Abell Tanner, Owner/Operators of Kevil Grain Company, have been in the grain business for 23 years, and part of the White Commercial family since 1999. In the early years they focused solely on grain trading. After attending a White Commercial grain merchandising workshop, they saw how much opportunity was available with the right training and guidance. Since becoming a White Commercial customer, Kevil Grain Company has grown considerably. They have expanded their storage capacity from 340,000 bushels to 1.4 million bushels, handling approximately 4.8 million bushels of corn, soybeans and wheat annually. They have also dramatically increased their grain margins from 2-6 cents a bushel to 30-40 cents per bushel through basis trading. Malissia became a Certified Grain Merchant in June 2007, after completing White Commercial’s Grain Merchant Certification Course. Kevil Grain's customers have come to trust and depend on her expertise. 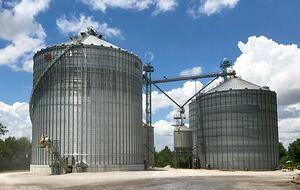 There have been many changes in the grain market since our relationship began with White Commercial. I must say the one that I am most impressed with (and I could name a few) is how White Commercial adapts with the changes. They are constantly updating and learning themselves, and passing that knowledge and marketing tools on to us. They continually strive to present the most up-to-date marketing strategies and tools to help us stay competitive and successful in this era of merchandising. Kevil Grain Company, Kevil, Ky.
Chandler is like a lot of small towns dotting rural America. Its population is 270; its economy is based on agriculture. However, it’s unlike a lot of small towns in rural America because it’s growing and thriving—largely because of the Chandler Feed Company. The Chandler Feed Company began with Peter and Gertrude Krosschell in the late 1940s. The family operated a hatchery and sold eggs. In 1963, Peter added a small feed mill. Their son, Ron, took over the family business in 1970. At that time, the company had a feed mill with a single concrete grain silo that held about 10,000 bushels of corn and one six-ton feed truck to serve customers. Tragedy struck in 1992. A tornado ripped through the area and destroyed most of the town. Chandler Feed had over $500,000 in damage. But when asked if they would rebuild, the Krosschells were unanimous in their decision to do so—even though their insurance adjuster said that only one in 10 companies that rebuilds after a disaster succeeds. With White Commercial’s help, the company has turned challenges into opportunities and embraced changes in technology and in farming. 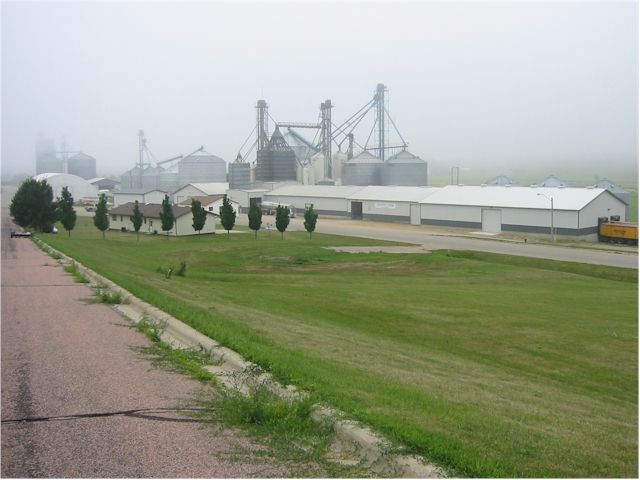 Today, Chandler Feed is a three-location operation that provides over six million bushels of grain storage and delivers thousands of pounds of feed daily to swine, dairy, beef, poultry and sheep operations throughout the area. Instead of one six-ton feed truck, they have several 18-ton trucks and 27-ton semis. Instead of mixing feed by dumping four or five ingredients into the mixer by hand, a computerized system combines 20 or more ingredients specialized for every stage of each animal’s development. The company is even introducing a mobile app. Ron is retired now; the next generation of family members is in charge. 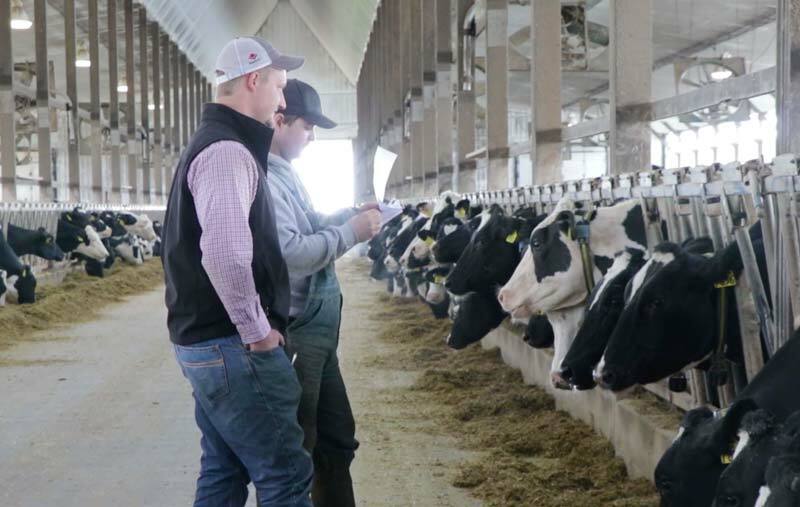 There’s no telling how far Chandler Feed Company will grow and how they’ll change. But what won’t change is this: they will continue to listen to their customers and rise to every challenge. They’ll continue to be an important part of the community. And they’ll be ready for tomorrow.